Today: When you want to know things about bread, ask Chad Robertson. To celebrate today's release of Tartine 3, that's exactly what we've done. Chad Robertson is a good reason for us East Coasters to resent San Franciscans. His bread -- 240 daily loaves of it, produced at Tartine Bakery -- has a cult following in the Bay Area, and is lusted after by those of us that don't live close enough to stand in line for it. 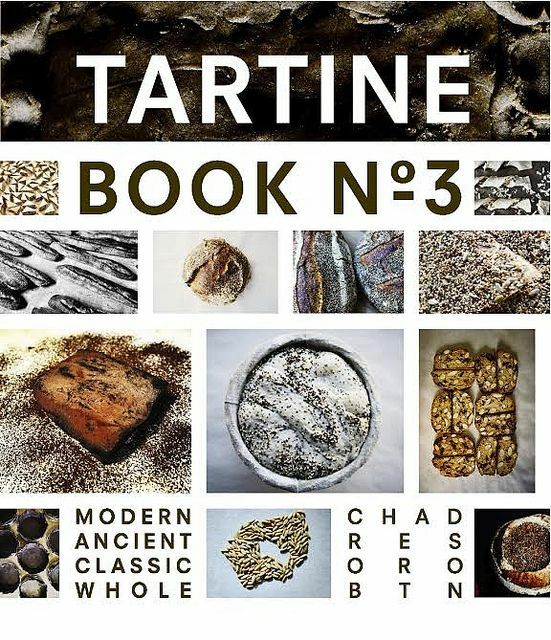 Naturally, his latest cookbook, Tartine 3, has been hotly anticipated on both coasts. 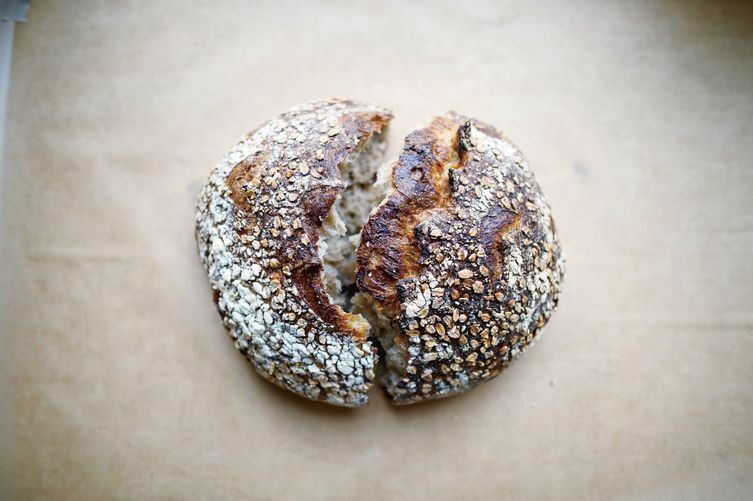 While Tartine shared recipes for the bakery's sweets and pastries, and Tartine Bread outlined Chad's basic Country Bread recipe, Tartine 3 represents a new stage in his baking: the integration of whole grains into Tartine's signature loaf. If you, like us, are determined to become a better home baker, read on for Chad's thoughts on what makes a great loaf, the importance of practice, and the onset of what he calls a "third wave of whole grain breads." What advice do you have for home bakers who want to bake your bread? What are the most important factors for them to pay attention to?First, be aware of the temperature of the environment -- I tend to keep everything at a fairly warm temperature since I think it best promotes the wild yeast. Understand the different aromas at certain stages -- for example, your leaven should smell sweet like ripe fruit, not vinegary. Be patient. Be a catalyst; that is, help the dough undergo these natural states of transformation by promoting more favorable environments, but don’t force it to act in a certain way. Lastly, strive for deep, developed flavors and textures. Talk to us about your new style of porridge bread: what inspired it, why it works, and why you're most excited to share it in this book. When whole grain breads are made with a majority of these grains, they tend to be dense sandwich breads or are overly dry -- the hallmark of the 1970s. I wanted to explore the range of flavors and textures of these grains, that is, how can I highlight the whole grain flavor while preserving Tartine’s signature style bread? I began experimenting with fermenting grains, a process that accentuates depth of flavor and also makes the grains more digestible. 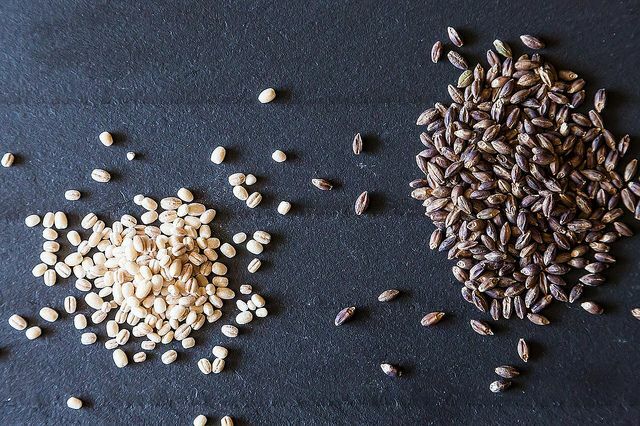 Cooking these grains into a porridge before folding them into the dough and fermenting the porridge for a day or two produces an amazing depth of flavor without sacrificing the aesthetic or textural qualities. Plus, it allows me to add a larger percentage of grains that have no or very little gluten, such as barley, oats, or coarse rye. The inherent flavor of the grain comes to the foreground while I’m able to maintain a moist, supple crumb and substantial crust, a far departure from standard whole wheat breads. For me, this marks a sort of third wave for whole grain breads. 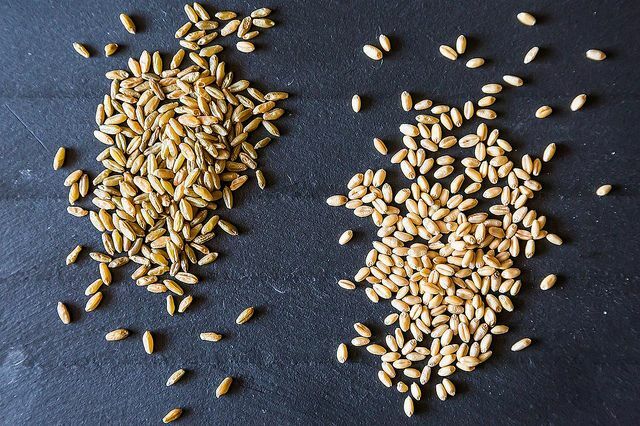 More: School yourself on the wide range of whole grains. What do you look for in a perfect loaf of bread? For me, the perfect loaf of bread is about contrasts, specifically a strong contrast between crust and crumb. Pallid crusts are bland. I like deep-colored crusts that crackle and have a range of caramelized flavors. In contrast to the crust, I like a supple crumb that glistens. I work with high hydration dough so that, even when cooked, the starch is hydrated and gelatinized, all of which produces a moist, springy interior. It should melt in your mouth. What's your favorite way to use up stale bread? 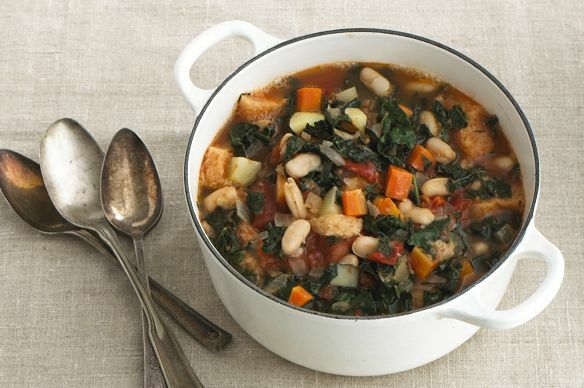 I love day-old bread in soup – from sopa de ajo to gazpacho to ribollita. I pretty much put bread in every soup. While I'm making it, I start tearing a loaf up and dropping it in. Or, if I'm at the restaurant, I'll ask for some porridge bread with my soup so I can do the same thing. There are so many possibilities when it comes to stale bread; it adds a whole new layer of texture and flavor to a dish. In your opinion, what are the most important tools for home bakers? Aside from a digital scale, there aren’t too many “tools” for the home baker. I think your hands are your most important implements, specifically, intuition in your hands that is informed by lots and lots of baking. The more you work with dough, the more you become intimately aware of the different stages. Baking is both an intellectual and visceral process. 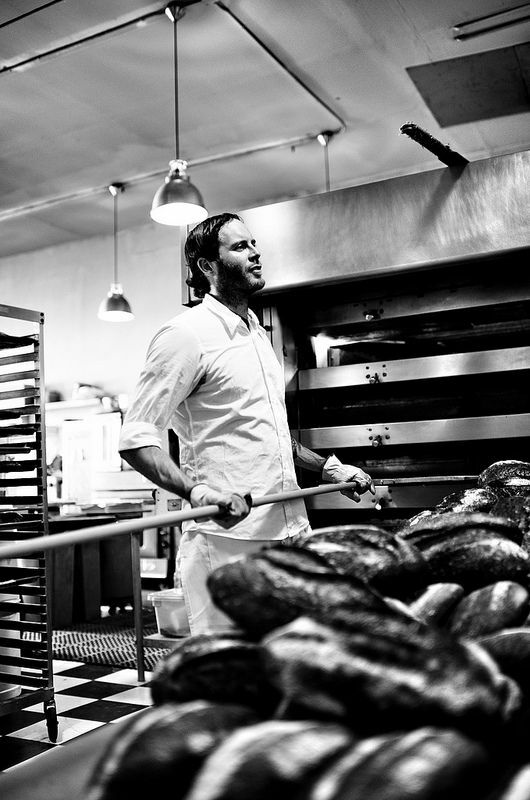 When people start baking at Tartine, their hands are covered in dough within the first five minutes. The dough doesn’t stick to my experienced bakers' or my own hands because we know when and how to release it. You get to a point where you move with a lot of fluid efficiency. It’s muscle memory. I remember the moment when I finally found that intuition in my hands. It was probably 8 months into baking when I finally became comfortable with the dough and didn’t feel frustrated every day. This is what the home baker should strive for, because it is at this point that baking becomes much more enjoyable. What is it about Scandinavian and Central European baking that has such an influence on you and your recipes? After Tartine Bread, I wanted to push my efforts even further and explore the complexities of diverse types of grains. I looked to the countries whose bread culture has always been grounded in whole grains. Scandinavia and Central Europe have and continue to champion softer, heirloom varietals of wheat. They have pioneering farmers and bakers who are dedicated to learning, cultivating, and baking ancient grain breads. I am continually inspired and energized by the baking landscape abroad. It’s exciting to see this approach cross borders and come to the United States. And, I’m excited to see where the movement goes and the types of grains that start to come out of Central and South America. Ribollita photo by William Brinson. Grain photos by James Ransom. I bake bread once or twice a week. I have a generous slice-- plain, no butter because it's so good-- every morning with my coffee milk (shades of being five again.) I want to try yeast bread with almond paste in the batter, rather than as a filling. I had thought to add diced dried apricots to complement the flavor. Has anyone done something like this? I know almond flour is often used in gluten free recipes, but I don't mean that. Thanks! Chad Robertson's book Tartine Bread literally changed my life :) I was a newly part-time M.D., with no baking experience whatsoever, when I started learning how to make bread - first No-Knead, then Tartine. With a house full of teenage boys willing to eat anything, I was able to practice by making 2-3 loaves of bread a day. Within - yes, it was 8 months! - my sourdough starter and I began to dance. I used it to make boules, batards, pizza, bagels, croissants, pain de mie, and even naan. (Hence the origin of my screen name : "Duuuude! You're mom is like...the bread whisperer!) The best part is that I have shared his book (and a glob of my starter) with other doctor-bakers as far away as Buenos Aires. And everyone who steps foot in our apartment (even the cable guy) gets a buttered piece of sourdough. Breaking bread with someone is a small but satisfying thing.